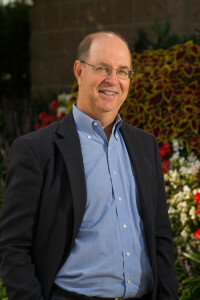 In 1980, Mike co-founded CC Pace and, to this day, he remains a hands-on principal of this information technology and business consulting firm. As CEO and President, he holds himself accountable for setting the company’s strategic direction and for meeting the targeted objectives for CC Pace’s stakeholders including our clients, employees, business partners and shareholders. In this role, he also sets the example for being willing to do whatever it takes to get a job done right. As a boutique consultancy, CC Pace’s business model combines strong domain knowledge in specific market niches with specialized technology and methodology expertise. From the very beginning, Mike wanted CC Pace to be seen by both clients and employees as a firm that consistently delivers high value solutions with a commitment to high-minded values. The most important part of his job has been finding talented individuals who are fully in alignment with that commitment. Mike is very proud of the long-term customer relationships he’s built and the trust and confidence he’s earned from Fortune 100 clients to community players across the country. He is equally gratified by the team of CC Pace employees he’s assembled, whose belief in the company is evidenced by an average tenure of over 11 years. Mike graduated from the University of Virginia’s McIntire School of Commerce with a BS in Commerce, and a double concentration in MIS and Marketing. In addition to his responsibilities at CC Pace, he’s a founding and active Corporate Advisory Board member for SOME (So Others Might Eat) and an Advisory Board member for the Ceca Foundation.